Human Resources, Asia’s only regional HR media & events brand, has announced the return of Asia’s only regional awards show dedicated to recognising and celebrating the best in talent acquisition. The Asia Recruitment Awards 2017 will showcase top-notch hiring practices and recruitment campaigns that have contributed to the business and workforce success of many organisations. The Asia Recruitment Awards, a premier event that rewards excellence in HR recruitment, is happening in Malaysia on 31 March, Singapore on 7 April, and in Hong Kong on 11 April in 2017. With over 24 award categories, the Asia Recruitment Awards 2017 will honour in-house corporate recruitment teams and recruitment agencies which have gone above and beyond expectations in the areas of recruitment advertising strategy, employer brand development, recruitment technology, human capital engagement, consultancy, on-boarding experience, and graduate talent programmes. The entries to the Asia Recruitment Awards are reviewed by a panel of HR directors, recruitment experts, and hiring specialists from the largest organisations across the region. Apart from receiving extensive coverage, the winners will be unveiled at an awards night ceremony and hailed as top performers and benchmark in the recruiting scene. 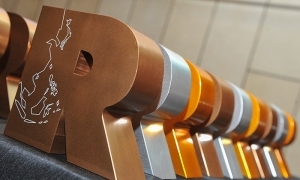 The list of past Asia Recruitment Awards winners is filled with the most reputable companies in Asia: British American Tobacco, EPS, Forefront International, GroupM, Hewlett Packard, HSBC, IHS Global, Intel, Jobstreet, ManpowerGroup, Maybank, Media Prima, Merck Sharp &Dohme, Randstad, SAP and many more.